I.C.E. is a De-esser, a frequency band specific Dynamic EQ, a frequency band specific Compressor, and a De-distortion plugin –all in one great plug-in for Mac and Windows. 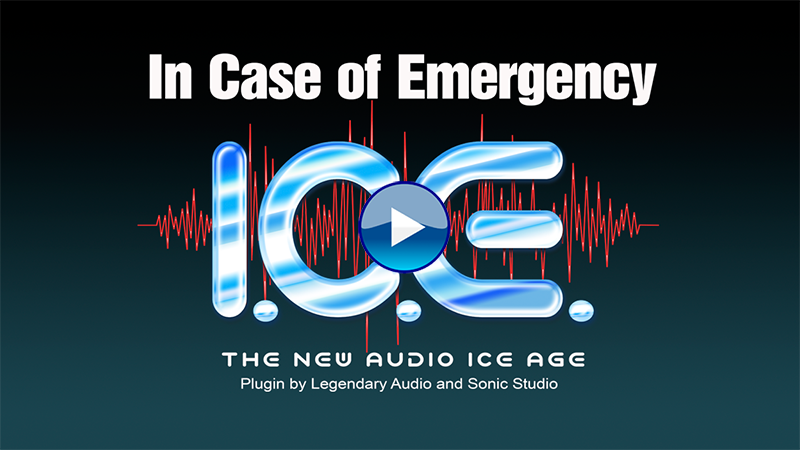 If you never have any problems with your Audio Projects, Then I.C.E. may not be for you. But in reality, there are always technical problems that range from subtle to critical and even some that are potentially fatal to the project. Distortion, especially of the digital type, is a huge problem in audio today. It is very easy to get a “warm” microphone, a “warm” preamp, plug-in, mixing console, and other software. “Warm” translates to generally “good” distortion (like cholesterol, there is good and bad distortion), but by the time the audio gets to the mixing or mastering stage, it is too warm (too much distortion) and it needs some I.C.E. (I.C.E is cool). I.C.E can counter the distortion and clean it up by reducing or eliminating the distortion AFTER it has already been recorded and processed. This is just one of the important uses of I.C.E. It can be used to attack the aforementioned list of common audio problems. The snare tone is too “tom-ish “or too bright or too loud or has too much “hand-clap"
In the right hands and ears, I.C.E. (In Case of Emergency) can correct all of the above in a few seconds (or minutes for the complicated issues) with zero latency, no artifacts, and transparent sound. These are actual recent problems / requests from Billy Stull's Mastering clients. He was only working with 2 track stereo Masters (not individual tracks). 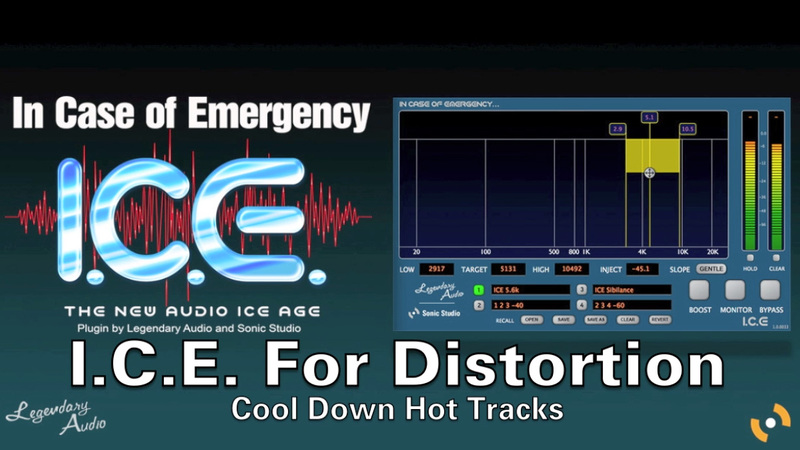 Not just for distortion and Mastering, I.C.E. on individual multitracks cleans up and "sculpts" to your heart’s / Audio’s content. Billy Stull has 50 years in the business - worked with Rupert Neve, Norman Petty, Warner Bros., Andy Johns, etc. and has recorded/mixed/mastered thousands of projects and has been Mastering for 20 years. He's taught Mastering since 2006. Using his experience, he has innovated this plugin collaboration with Sonic Studio to help share these tools with the mastering community. A well know band from Mexico, after reviewing the Master of their new single, loved it. Their only request was to take a little bottom end off of the Kick drum but not any off of the Bass Guitar. Using I.C.E., I accomplished the request in about 10 seconds. A well-known Brazilian Pop artist asked on one song to reduce the high end of the snare drum on one song by 25% - without changing anything else on the vocal or other elements in the mix. I accomplished the request in about 10 seconds. I had already used I.C.E. to make the bass guitar consistent. An artist that won record of the year last year from the ELO fan club (which I Mastered) asked me to reduce/cleanup four 1 second swell/peaks of the purposely distorted guitar solo on the left side only. I accomplished that in about 3 minutes of identifying the frequency bands and automating the I.C.E. settings. These were all Stereo Mastered songs, not individual tracks or stems. These requests from these successful professionals would have been impossible or at least difficult, time consuming, and requiring some compromise without I.C.E. Attention to small details factors in greatly to their success. My ability to do the previously impossible factors in to my success. 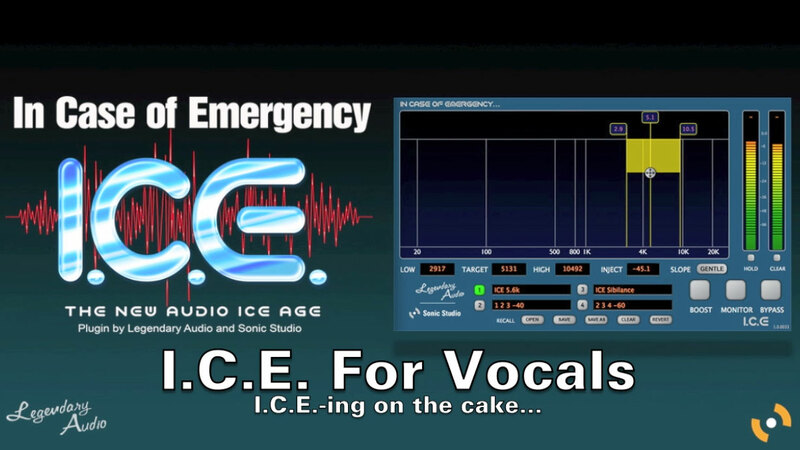 Once one learns to operate I.C.E, it can be used effectively at the recording, mixing, or Mastering stage.